As Canadians increasingly shop online, some retailers are seeking new ways to attract shoppers to their bricks-and-mortar stores. In Downtown Vancouver, for example, a local pharmacy has added a unique healthcare component, creating a first-of-its-kind destination in the Lower Mainland. Pure Intregrative Pharmacy's PureHealth Centre opened on August 1st, after converting a third of its retail space to a dedicated facility where a diverse range of healthcare practitioners offer their services. Their goal is to provide products and services that cater to a wide range of health needs, such as herbal care, naturally sourced vitamins and minerals, homeopathy, beauty and wellness, as well as a traditional pharmacy. Their vision is that by providing more options in one space, it empowers people to take a more active role in their own wellbeing and demonstrates an effective platform for the future of health care as a whole. Not to mention, enriching the typical pharmacy retail experience. The new Health Centre adopts a chic, stylish and contemporary look to complement its neighbouring store, mixing its brand colours of light blue and white into a professional setting for new patient intake. The space's interior is bright, featuring full-length windows overlooking the corner of Robson and Cambie Streets. The health centre connects to the original pharmacy, allowing customers to conveniently travel back-and-forth between the retail product space and the treatment centre. The centre itself has a clean and welcoming reception area, with five medically equipped treatment rooms down the hall. With a Canada Post concession on the retail side as well, the location has become a communal hub for a range of different activities and transactions. PureHeath Centre's front desk. Photo: Pure Integrative Pharmacy. We had a chance to speak with Gloria Elizabeth, Director of the centre and Store Manager, to find out a bit more about why the decision was made to convert product sales to a health and wellness space. "We believe all health care practitioners have a role to play in cultivating health. We are industry leaders in merging traditional pharmacy with complementary medicine”, she said. “Our main goal is to empower our clients with knowledge, top of the line products, and targeted treatments that significantly improve quality of life. We're not afraid to take risks to push the model of health care into a more positive direction, and we believe this latest offering is in mutual alignment with our values and that of our cherished community." "Our team includes Medical Doctors, Nutritionists, Massage Therapists, Herbalists, Acupuncturists, Traditional Chinese Medicine and Naturopathic Doctors. With our solid foundation of experienced practitioners, we have deepened our ability to individualize health care approaches for each person that walks through our doors." Gloria reminded us that the PureHealth Centre is the first of its kind in the Lower Mainland, serving as the perfect synergy of health practice and retail. 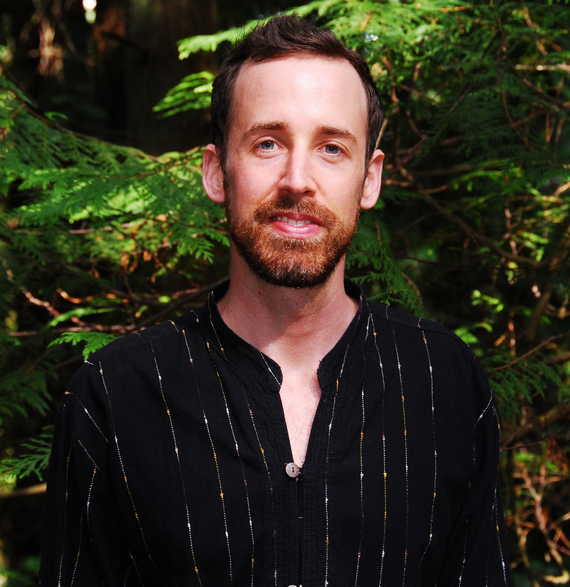 One of the Centre's practitioners, Jason Brien, a licensed acupuncturist, answered some of our questions about what he does and his role at PureHealth. "I do acupuncture, herbal medicine, some counselling on nutrition, and fire cupping." He mentioned to us that the residents of the neighbourhood have expressed interest since the opening. "A lot of clients go shopping in the store side after receiving treatments. We've had traffic coming through asking what it is we do and what the centre is about. It's been exciting! We already have many return clients who enjoy the professionalism combined with the convenience." Because PureHealth seems to pride itself on the quality of its services and its care providers, we decided to ask Jason what kind of background work goes into becoming an acupuncturist within Traditional Chinese Medicine (TCM). “Acupuncture training in British Columbia requires 2 years of post-secondary prior to even applying for a TCM program,” he said. “I have my Bachelor of International Relations, followed by a 3 year TCM program in acupuncture and Chinese herbal medicine. Most people don't know that TCM training is complicated and intensive. We go through several thousand hours of in-class and practicum training combined. We also have to pass a provincial licensing exam that is divided into two parts: written and practical. Maintaining our license requires us to get 50 hours of continuing education in TCM related health care every couple of years, so our profession is pretty cutting edge." Jason also shed light on why the PureHealth Centre is such a new concept for Vancouver. "It's common to find doctor's offices above modern pharmacies, as well as many health supplement stores being located in areas where there are a lot of medical buildings. Interdisciplinary clinics are also common in Vancouver, drawing on the talents of many kinds of medicine. This pilot project is the first that combines everything, including retail and medical, under one name. PurePharmacy is the first to have an interdisciplinary practice attached to an interdisciplinary store." Treatment room at PureHealth Centre. Photo: Pure Integrative Pharmacy. It will be interesting to see if similar retailers follow PureHealth's lead, adding services to retail space to add value to customers. It appears there is already precedent for success, evidenced by PureHealth's business success, not to mention its attracting top medical practitioners such as Jason Brien.